I saw you try to hide those tears yesterday. It wasn’t easy because you were sitting in a classroom, surrounded by your peers. What luck, you thought, that the girl next to you had just sprayed copious amounts of perfume and you could blame wet eyes on an allergic reaction. You’re getting really good at hiding behind false pretenses. You laugh with your friends about not having a boyfriend. You tell your small group at church that you are purposely holding out for the right guy. 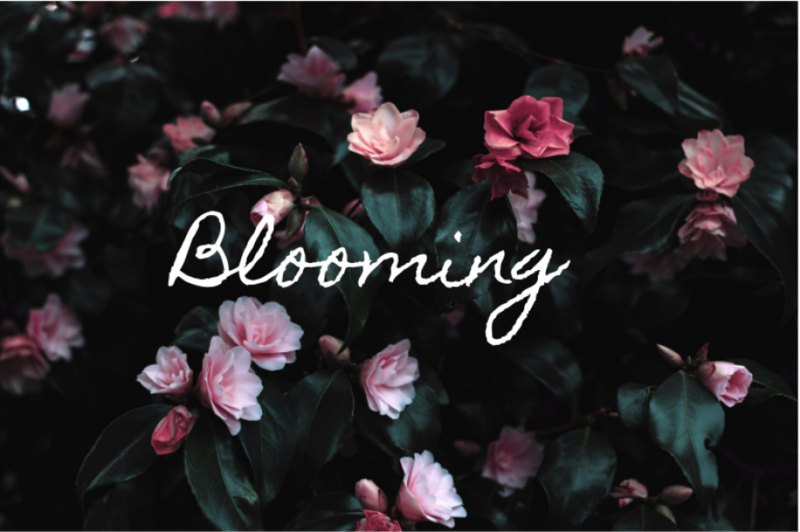 You even fill pages of your journal with verses about waiting, applauding yourself for persevering through these months and years with no romantic interest. But, I see behind the carefully crafted masks you wear from day to day. My heart hurts for the tears you shed, the painful things you tell yourself, the rejection you feel. How can I help you see the carefully crafted woman you actually are? When you look at yourself, what you see are imperfections. When I look at you, I see the time and effort I put in to shaping every one of those so-called imperfections. I see a capable woman, full of strength and dignity. I see a woman with beauty forged from brokenness. How can I help you understand that My plans for you are bigger than a boyfriend, more elaborate than a date? I know the wait is painful and perplexing. I don’t fault you for those tears. Tears happen, but I want to be where you turn when your eyes begin to leak. Come to me, My daughter. 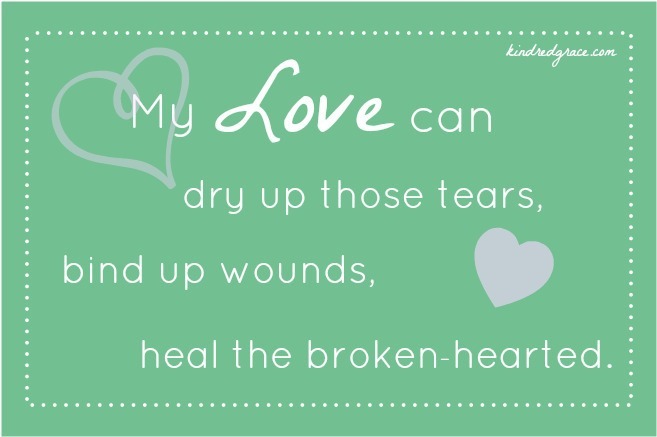 My love can dry up those tears, can bind up wounds, and can heal the broken-hearted. I will gladly help you navigate this season and, if you let Me, I will lead you down a path you never imagined was possible. Can I show you My plan, one step at a time? The way won’t be easy. But I have a steady arm to cling to and a sturdy shoulder to cry on when tears are unstoppable. You don’t need to hide your struggles from Me. Give them to Me and I will transform them into strength. Though this road I’m describing will be rough, I can assure you that you are in the best hands. My hands will hold yours. My hands will guide your steps. My hands will protect. My hands made you, My beautiful one. I won’t let anything or anyone crush My creation. Whether you have or have not noticed, it has been a little while since I’ve posted. Chicken broth is my new best friend. With papers due, and essays to write, and tests to study for, this has been a time when I have had to rely more on the Lord and on the grace of others. And, in the midst of brain fog, and nyquil, and stuffy noses and gut-wrenching coughs, I’m at a loss as to what I should write about. What do you think I should write about? Recipes? Confessions? Health and fitness? More awkwardness? *grin* Anything else I haven’t blogged about before?